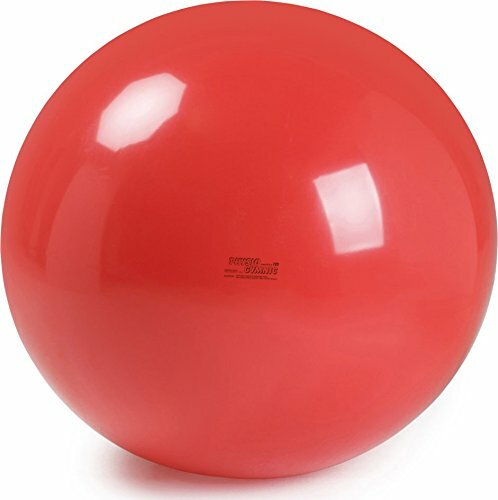 The Gymnic Physio Exercise Ball is a multi-functional piece of equipment that can be used for fitness, group activities, physio-therapy (physical therapy) and motor exercises. Use the Gymnic Physio Exercise Ball at home or gym to perform a wide range of exercises to help improve balance, coordination, flexibility and stabilization. This piece of equipment easily integrates into your daily routine; simply adjust the inflation intensity in order to customize the stability level you need. Push your workout to new heights by engaging more muscles groups at a time. By incorporating balance-centric exercises into your workout, it enables your muscles to work harder to stabilize your body. This helps intensify your workout which in turn, burns more calories. Made from durable, latex-free, vinyl which supports a maximum weight of 270 lbs. and is also phthalate and BPA free. Available in three sizes 85 cm exercise ball (recommended for users 6' 8" and taller), 95 cm exercise ball and 120 cm exercise ball. Phthalate and BPA free; Made from durable, latex-free, vinyl which supports a maximum weight of 270 lbs. If you have any questions about this product by Gymnic, contact us by completing and submitting the form below. If you are looking for a specif part number, please include it with your message.